This is a continuation of Find GED and High School Equivalency Programs in the United States, Alabama through Colorado. It includes the states of New Mexico, New York, North Carolina, North Dakota, Ohio, Oklahoma, Oregon, Pennsylvania, Rhode Island, and South Carolina. new high school equivalency test called HiSET, developed by ETS (Educational Testing Service). Be sure to visit the HiSET website, too. On January 1, 2014, New York switched to the new high school equivalency (HSE) test developed by McGraw Hill called the Test Assessing Secondary Completion, or TASC. It is computer based, although a paper-based test is available. You'll see reference to PBT (paper-based test). The state formerly offered the GED (General Educational Development) test from GED Testing Service. You'll find everything you need on the Adult Education page of the New York State Education Department website, including what happens to your old GED test scores. 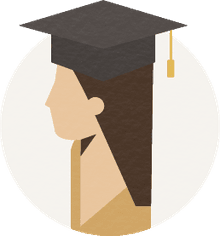 The High School Equivalency page offers prices, Information on next steps, and a link to finding records and transcripts. GED testing in North Dakota is handled by the North Dakota Department of Public Instruction. The state continued its partnership with GED Testing Service as of January 1, 2014, and offers the new 2014 computer-based GED test. GED testing in Ohio is handled by the Ohio Department of Education. The state continued its partnership with GED Testing Service and, as of January 1, 2014, offers the new 2014 computer-based GED test. GED testing in Oklahoma is handled by the Oklahoma Department of Education. The state continued its partnership with GED Testing Service and, as of January 1, 2014, offers the new 2014 computer-based GED test. You'll find some helpful links to Oklahoma policies, and to the GED Testing site. GED testing in Oregon is handled by the Oregon Department of Community Colleges and Workforce Development. The state is continuing its partnership with GED Testing Service and, as of January 1, 2014, offers the new 2014 computer-based GED test. GED testing in Pennsylvania is handled by the Pennsylvania Department of Education. You'll find the GED page in the dropdown menu at the top of the page under Postsecondary & Adult. The new 2014 computer-based GED test provided by the GED Testing Service. You'll find links to additional info along the right side of the page. 30 College Credit Option -- proof that you are a Pennsylvania resident with a minimum of 30 semester hours of study at an accredited institution(s) of postsecondary education located in the United States. There's a link to an application for this option. GED testing in Rhode Island is handled by the Rhode Island Department of Education (RIDE). The state is continuing its partnership with GED Testing Service and, as of January 1, 2014, offers the new 2014 computer-based GED test. But there are two options for you in Rhode Island. In addition to the GED, Rhode Island offers the National External Diploma Program (NEDP). The NEDP is a "performance assessment system that is competency-based, and expects adults to demonstrate their ability in a series of simulations that parallel job and life situations. Participants are evaluated against a criterion of excellence instead of by comparison to others." GED testing in South Carolina is handled by the South Carolina Department of Education. The state continued its partnership with GED Testing Service and offers the new 2014 computer-based GED test as of January 1, 2014.